One of the most important questions to ask if you are facing federal cocaine charges is what the statutory sentence would be in the worst-case scenario of a conviction at trial. The attorneys of the Oberheiden, P.C. have handled some of the largest federal drug cases in the country, and they are available at a moment’s notice to help clients fight to have their federal drug charges dismissed. The following is an overview of the statutory sentences for cocaine convictions in the United States federal courts. Conspiracy to possess with intent to distribute and conspiracy to distribute less than 28 grams of crack cocaine are each punishable by up to twenty (20) years’ imprisonment, up to $1 million in fines, and a minimum of three (3) years of supervised release. Conspiracy to possess with intent to distribute and conspiracy to distribute more than 28 grams but less than 280 grams of crack cocaine are each punishable by a minimum of five (5) years and a maximum of forty (40) years’ imprisonment, up to $5 million in fines, and a minimum of four (4) years of supervised release. Conspiracy to possess with intent to distribute and conspiracy to distribute more than 280 grams of crack cocaine are each punishable by a minimum of ten (10) years and a maximum of life imprisonment, up to $10 million in fines, and a minimum of five (5) years of supervised release. Conspiracy to possess with intent to distribute and conspiracy to distribute less than 500 grams of cocaine are each punishable by up to twenty (20) years’ imprisonment, up to $1 million in fines, and a minimum of three (3) years supervised release. Conspiracy to possess with intent to distribute and conspiracy to distribute more than 500 grams but less than 5 kilograms of cocaine are each punishable by a minimum of five (5) years and a maximum of forty (40) years’ imprisonment, up to $5 million in fines, and a minimum of four (4) years of supervised release. Conspiracy to possess with intent to distribute and conspiracy to distribute more than five (5) kilograms of cocaine are each punishable by a minimum of ten (10) years and a maximum of life imprisonment, up to $10 million in fines, and a minimum of five (5) years of supervised release. Possession with the intent to distribute less than 500 grams of cocaine is punishable by up to twenty (20) years’ imprisonment, up to $1 million in fines, and a minimum of three (3) years of supervised release. Distribution of less than 500 grams of cocaine is punishable by up to twenty (20) years’ imprisonment, up to $1 million in fines, and a minimum of three (3) years of supervised release. Each case is different, and it is important to discuss your case with one of the experienced attorneys of Oberheiden, P.C. to determine the risks, if your case goes to trial. Also note that many other factors can impact your total punishment, such as the inclusion of supplemental charges. Possession of a firearm by a felon is punishable by up to twenty (20) years’ imprisonment, up to $250,000 in fines, and a maximum of three (3) years of supervised release. Money laundering is punishable by up to twenty (20) years’ imprisonment, up to $500,000 in fines, and a maximum of three (3) years of supervised release. 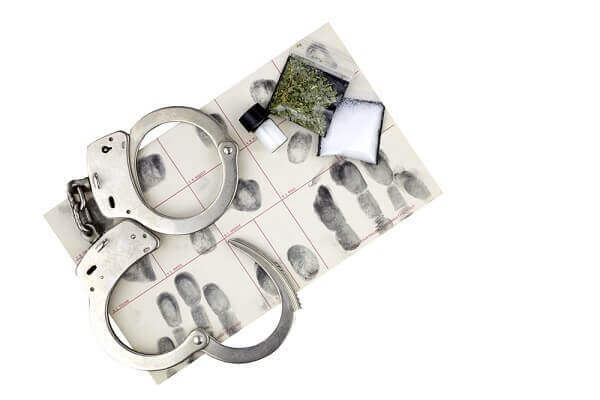 Contact a Federal Criminal Defense Attorney at Oberheiden, P.C. If you are facing federal cocaine charges, you should seek legal advice immediately. When you contact the Oberheiden, P.C., our experienced defense attorneys and former federal prosecutors will provide you with a free detailed case assessment. To speak with a member of our defense team, call (800) 701-7249 or contact us online now. Can I Appeal a Plea Agreement? What is a Proffer Agreement?